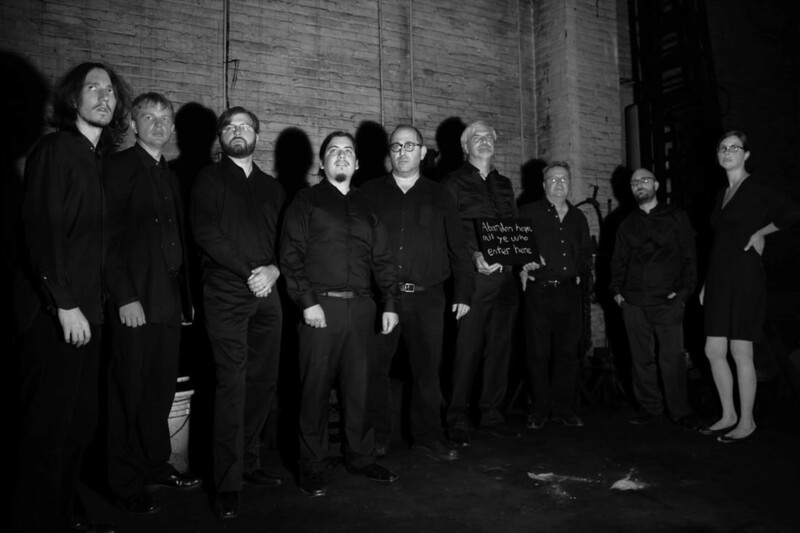 Steven Plank’s excellent Oberlin choir, the Collegium Musicum Oberliniense, will take its spring program of English music to Trinity Cathedral’s Brownbag Concert Series on Wednesday, May 3 at 12 noon. The repertory ranges from gloriously sprawly motets from the 15th-century Eton Choirbook to Victorian part songs and movements from Vaughan Williams’s Mass in g. The concert is free, but donations are welcome. So are bag lunches, or you can buy one on site for $7. Boston’s Sound Energy, a string trio made up of violinist Micah Brightwell, violist Ashe Gordon, and cellist Benjamin Swartz, will play a wide-ranging program including arrangements of selections from J.S. Bach’s Goldberg Variations and new music by Jeffrey Mumford, Marti Epstein, Giacinto Scelsi, and Kaija Saariaho on the Lorain County Community College Signature Series on Wednesday, May 3 at 7:30 pm. 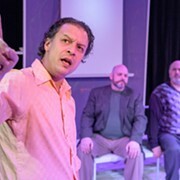 The free performance will be in the Studio Theatre at LCCC’s Stocker Center in Elyria. Although Cleveland’s springtime weather can be bipolar — careening from the 50s to the 80s in 24 hours — outdoor music beckons. On Fridays at 12:15, you can enjoy bell music from the McGaffin Carillon from all over University Circle, but it’s best heard close to the tower of the Church of the Covenant. On May 5, George Leggiero will hammer out music by Chris Dubois, Jurriaan Andriessen, Jean Miller, and Willem Vogel, and give a tower tour afterward. Picnics, blankets, and lawn chairs are welcome. Cleveland’s new music ensemble No Exit will sponsor its house cellist, Nick Diodore, in a concert of avant-garde music for cello alone at Heights Arts on Saturday, May 6 at 7:00 pm. He’ll tackle pieces by Timothy Beyer, Kaija Saariaho, Witold Lutoslawski, Luciano Berio, Alberto Ginastera, and Henri Dutilleux, and like all of No Exit’s performances, the concert is free. For the 25th year, the Cleveland Composers Guild will hold a concert featuring music that guild members and up-and-coming composers have written for young performers. The silver anniversary performance in Harkness Chapel at CWRU on Sunday, May 7 at 3:00 pm will include clarinetist Myles Macke, oboist Leo Sherwood, cellists Kai Berkner, Kaden Runge, and Kevin Williams, guitarists Thomas and Dylan Coble, pianists Joyce Liang, Victoria Zemskov, Farah Sayed, Valerie Bremm, Thalia Lisowski, Abra Lisowski, and Safe Jassani, and vocalist Caprice Trifiro. The suggested donation is $20, but it’s free for 18 and under. More young artists will be spotlighted on Sunday, May 7 at 7:00 pm when the Cleveland Chamber Music Society presents its Young Artists Showcase at First Unitarian Church in Shaker Heights. This year’s featured ensemble is the Callisto Quartet (Paul Aguilar and Rachel Stenzel, violins, Eva Kennedy, viola, and Hannah Moses, cello), and they’ll perform works by Haydn, Bartók, and Brahms. The concert is free. Come early to hear an interview with the performers. And on Monday, May 8 at 7:30 pm, players from two great orchestras will combine their talents on the Rocky River Chamber Music Society series. “Cincinnati Meets Cleveland” will feature Elizabeth Freimuth, principal horn of the Cincinnati Symphony, with Benjamin Freimuth, clarinet, Kimberly Russ, piano, Katherine Bormann, violin, Lembi Veskimets, viola, and Charles Bernard, cello, who are members of either the Cincinnati Symphony or The Cleveland Orchestra. The free concert at West Shore Unitarian Universalist Church in Rocky River includes pieces by Carl Reinecke, Franz Strauss, Robert Schumann, and Ernst von Dohnányi. 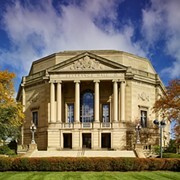 For details of these and many other events, visit the ClevelandClassical.com Concert Listings page.